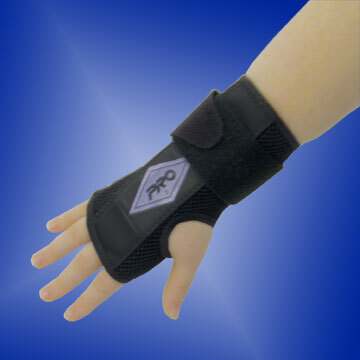 Protects the palm and wrist from abrasion and extension injuries encountered on the bases. The brace features a Breathable Spacer Material for the body, a hook and loop strap, and two aluminum splints for superior protection from twists, hyperextensions, and sprains. 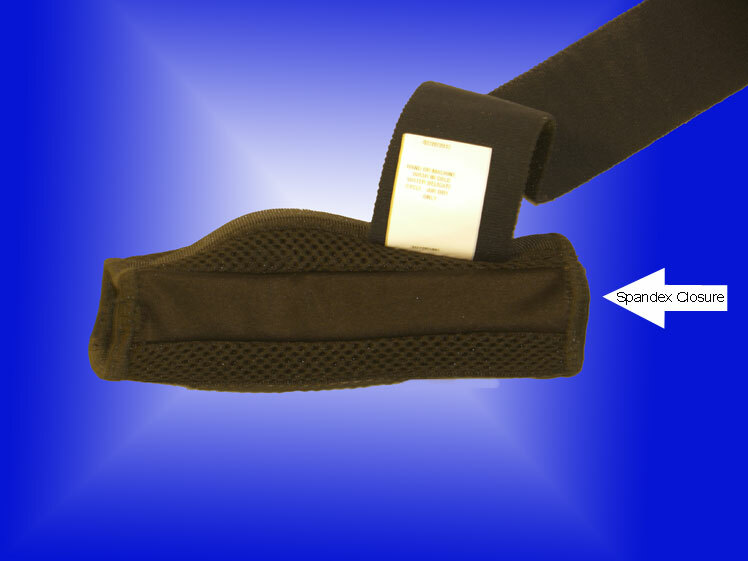 This support also has a Spandex side panel that is designed to be able to get the brace on & off the wrist easily. Available in black only, specify right or left. Sized in 2 sizes: Small/Medium & Large/XLarge.